Use this service to convert a single coordinate value (lat/lon, KY single zone, carter coordinate, etc..) to 14 different coordinate values. 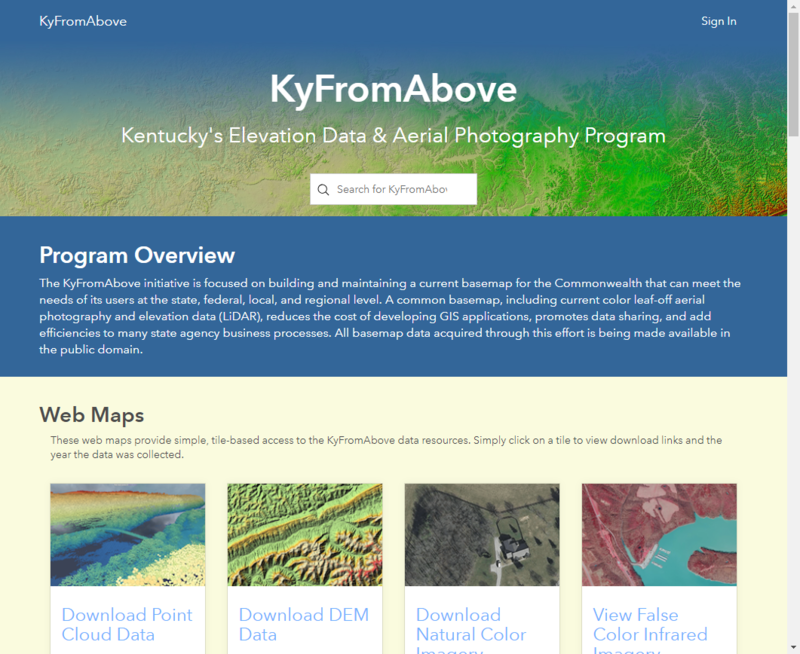 Output includes the KY county and KY 1:24,000 quadrangle where the coordinate is located and links to map views. Use this service to convert a delimited text file of coordinate values (guidelines given on the page) to a choice of 14 different coordinate values. Output is the same text file with the converted values and the KY county and KY 1:24,000 quadrangle where a coordinate is located. In 1996, the Education Committee of the Kentucky Geological Survey, in conjunction with the Kentucky Society of Professional Geologists, established the Earth Science Education Network (ESEN). Originally, the network provided a group of geologists who served as resource persons for teachers. In the fall of 1996, ESEN was expanded to provide resources from around the globe using the World Wide Web. 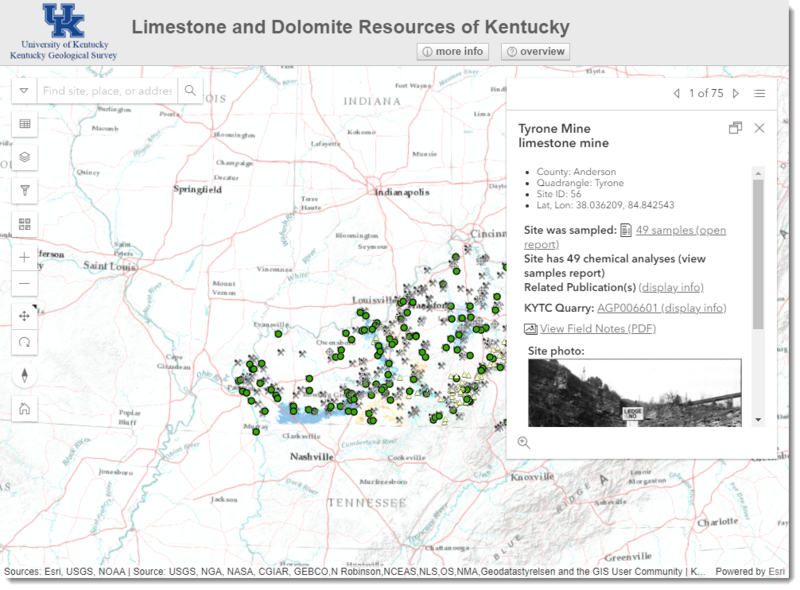 Kentucky’s most comprehensive collection of rock cores and subsurface samples is curated by the Kentucky Geological Survey at its well sample and core library on Research Park Drive in Lexington. Cores and samples are collected when holes are drilled for oil and mineral exploration, groundwater supplies, scientific research, and site investigations supporting large engineering projects. The KGS collection, assembled over many decades, is a unique and invaluable resource that is freely available to scientists, engineers, and others who need to know what lies beneath the surface of the commonwealth. facility on Research Park Drive in Lexington. KGS, a research center within the University of Kentucky, has spent the past six months improving operations at the 48,000-square-foot building. “We have plans for upgrades, and we have reorganized the space,” says the library’s manager, geologist William Andrews. “We’ve rededicated the library to its designed purpose of supporting research on physical samples.” Staff at the facility have also updated safety procedures and equipment, revised its management structure, and documented procedures and policies to make the library more useful to stakeholders. Its status as a pilot project for occupational safety management with the UK Health and Safety Department has helped the core library staff to address quality, fall protection, and overall safety awareness issues. KGS has scheduled an open house at the facility on Friday, February 15, 1–4 p.m. Eastern Time, to showcase changes to current and prospective users and solicit suggestions for future improvements. A new name for the facility will also be announced during the open house. “We want more academic, industry, and government researchers to learn about our collections by attending the open house and suggesting how to blend their expertise with ours to solve problems critical to sustainable and robust economic growth in Kentucky,” Andrews explains. 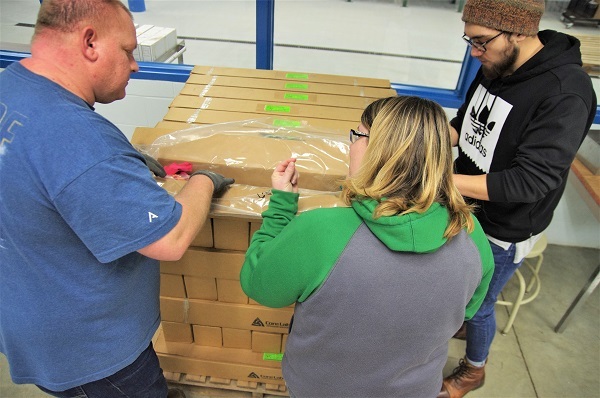 A key component of the new direction for the library is a three-year project to repair thousands of storage boxes so that they meet current archival standards, photograph 10,000 core boxes, and make the photographs available online. By the end of January, 25 complete cores had been photographed and 745 boxes relabeled. This nearly $500,000 project, directed by KGS Archive Manager Liz Adams, was funded in part by a grant from the Institute of Museum and Library Services. 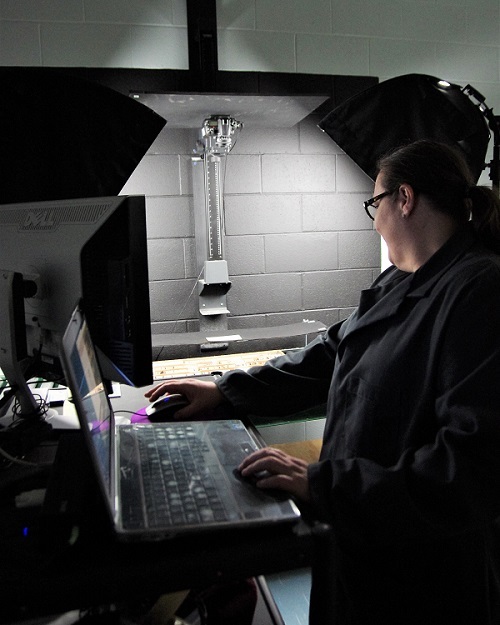 Natalie Fields takes photos of cores stored at the facility for posting online. Ryan Pinkston helps Oklahoma State University students find and examine cores for their research. All files associated with this page are copyrighted © 1997 – by the Kentucky Geological Survey, University of Kentucky. An Equal Opportunity University.